No, not that kind. ze Bulette reminded me during CaveCon that pumice floats. I'd forgotten showing my nephew how I could float a rock in a glass of water years ago (he wasn't impressed). 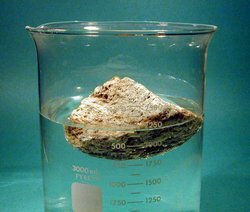 At this reminder pumice castles and towers floating on water popped into my mind. And I thought I had an interesting new possible dungeon level. But the more I thought about it the less I think I could add anything that wasn't already done very cleverly in the Water Temple in Zelda: Ocarina of Time. Poking around online, I was surprised to find people hated that temple. It's my all time favorite dungeon level. 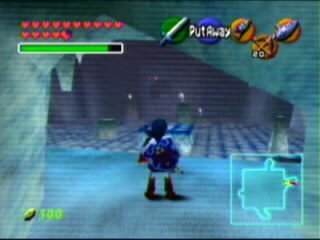 It's been a while since I played the game, but the Water Temple is mostly about raising and lowering water levels to reveal features of the dungeon inaccessible otherwise. Raising the water floats platforms, door obstructions, and yourself. Lowering the water level will lower door obstructions out of the way and allow you to travel through passages that would be difficult to make it through holding your breath. There are also iron boots you can put on to help you access features deep under the water, to be taken off once you want to emerge. I feel like I should play it again before I can abstract out anything more specific dungeon building wise. About the only thing I might add (because Zelda is single player) is the idea of a floating tower that sinks to different levels depending on the number of players in a party. Interesting way for your local mad mage to tailor a tower to handle solo vs. group incursions. Maybe it's the Tower of Courage and the fewer people that enter at once the better the rewards they encounter. Have you utilized clever floating features in your own dungeons? I have this vague recollection of seeing something Zak posted about a floating dungeon level or something like it, but maybe I'm confusing him with someone else. I'm glad I'm not alone in not feeling beneath mining video games for dungeon designing ideas. now I want to make an iceberg dungeon the players have to tumble, by moving all the gear to one corner. I woke up this morning thinking: if a gelatinous cube (10' on a side) floats like ice or pine then it probably weighs 27 tons. Therefore (a) cubes preclude pit traps and more excitingly (b) luring one or more to the corner of this dungeon would be the most efficient way of tumbling it. Luring monsters around for various reasons sounds fun. At first I thought you were going to say something about hollowing out the cubes to turn into arctic ships, haha. that thought is close to another conversation I've been having about asteroid mining... someday I will write up my "differences between the Astral plane and space" post.